I've tried a couple of new recipes. First is Baked Persimmons. 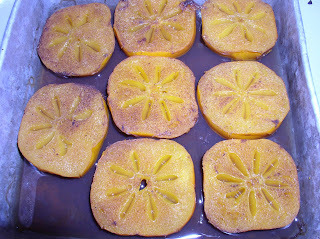 I found some today that I think are the last of the season, they were quite ripe, but I had wanted to try the recipe. 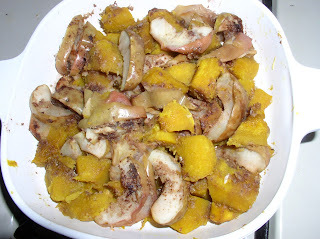 I also made Acorn Squash and Apples. The first is a dessert and the second a vegetable.